Thank you to all who participated in our survey! We heard from 5,679 people, both online and at 20 pop-up events around the region. To read more about what we heard from the public survey, click here. For a full summary of our outreach to the public and stakeholders to date, click here. Buses are important to the region’s transportation system. They extend the reach of affordable, sustainable, high capacity transit into many communities across the region. Buses help people to get to jobs and school and medical appointments, run errands, and connect to rail and airports. Recent transportation innovations – such as Lyft and Uber, bikeshare, carshare, scooters, and others – as well as changes in people’s travel habits mean that it’s time to look at how local bus can be a better travel option. These new innovations are exciting, and we want to make sure local bus service works with them to provide equity and accessibility to everyone in the region. The Bus Transformation Project is not a corridor study or a service plan. The project will create a bold, new vision and a collaborative action plan for the future of bus in the region. The project will explore all factors that influence the quality of bus service, from technology and transit priority, to funding structures and service provision roles. 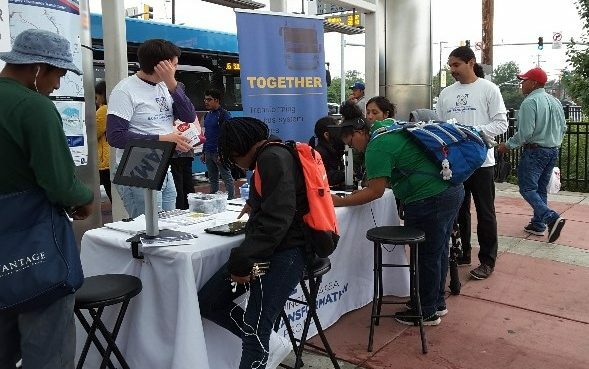 "Buses play a critical role in connecting people throughout this region to opportunities. In this time of rapid change in transportation options, we need a shared vision for the best role of bus in our transportation network. The Bus Transformation Project will identify and implement steps to make local bus a world class travel option for all of the region’s residents." Check out our project page on Facebook and "like" us to follow the latest project news! DC will pilot bus-only lanes on H and I streets NW this summer. Prioritizing buses on the region’s roadways can result in faster bus trips that will make the bus more reliable and attractive – we hope to see more and more bus priority throughout the region!